Preparing for surgery can be overwhelming. Even your post-surgical recovery can be confusing. 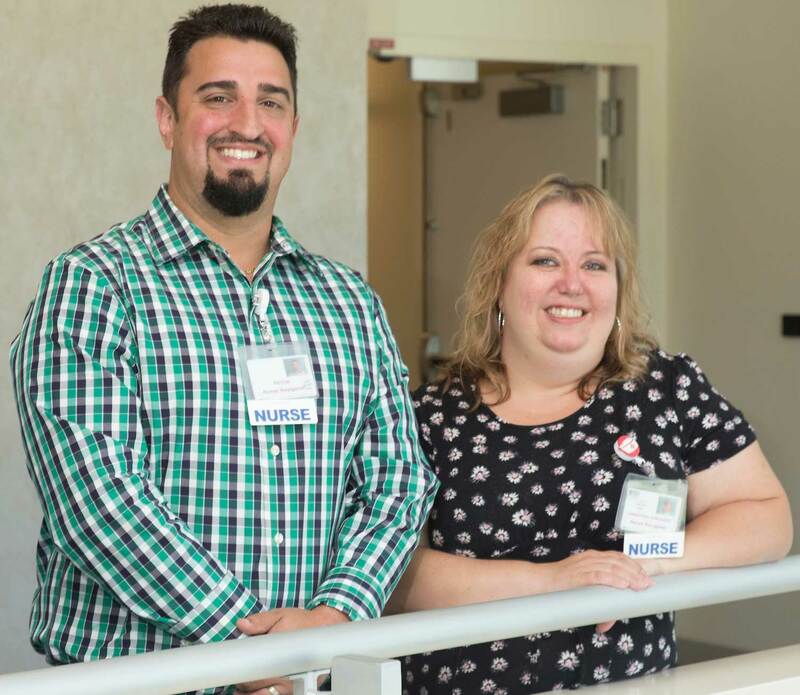 But when you’re at the Connecticut Orthopaedic Institute at MidState Medical Center, nurse navigators take the guesswork out of the experience. They streamline the process, focusing on patient education and clinical excellence – before, during, and after surgery. The Connecticut Orthopaedic Institute’s two nurse navigators, with their extensive experience in orthopaedics, provide in-depth preoperative education for patients through in-person or online classes. The navigators connect regularly with patients by phone for up to three months after surgery to ensure they are on the right track. But the navigators aren’t just a voice on the phone. They also visit when you’re recovering in your private patient room on the orthopaedic unit to answer any questions you or your loved ones have, as well as act as a liaison between you and your clinical team. The navigators also help you prepare for your discharge home. Most patients at the Institute are discharged directly home in less than two days, significantly faster than the industry standard. Will I have to go to a short-term rehab facility? Approximately 98 percent of Connecticut Orthopaedic Institute patients go directly home within a day or two after surgery. Most patients do not go to a short-term rehabilitation facility, but the course of action is based on each patient’s need. How do I get the equipment I need for after my surgery? A case coordinator can order it and have it delivered to your hospital room prior to discharge. Patients also can obtain a prescription from their surgeon and pick it up prior to surgery. Is home care and equipment covered by my insurance? Each insurance plan provides different coverage. Your case coordinator will discuss this with you during your hospital admission. When and where do I have my outpatient physical therapy? Your outpatient physical therapy will start approximately two weeks after your surgery. Your surgeon’s office can provide a list of preferred outpatient locations. Inpatient rehabilitation starts a few hours after your surgery at the Institute. Is the pre-operative education class necessary? Pre-operative education through the Institute is required for total knee, hip, ankle, and shoulder replacement patients. This is required by your surgeon. The information provided can alleviate many concerns and answer questions about the process. Spine surgery patients are required to view the Institute’s online educational videos prior to surgery. Dr. Christopher Bryant Lynch, an orthopaedic surgeon specializing in joint replacements, will present “Suffering from Knee or Hip Pain?” on Aug. 29 from 5:30 p.m. to 7 pm at Sacred Heart Church in Southbury. For more information about the Connecticut Orthopaedic Institute at MidState Medical Center, click here. To find a doctor, call 855-HHC-HERE (1.855.442.4373).